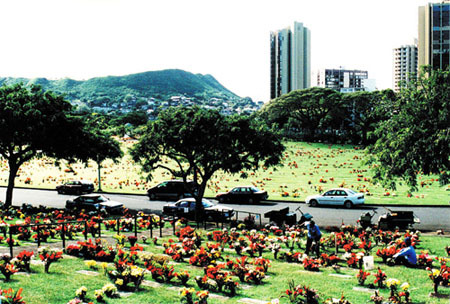 No matter how you choose to care for your loved one’s physical remains, we pride ourselves on our ability to help you select from a variety of peaceful and picturesque settings for their final resting place here at Nuuanu Memorial Park. 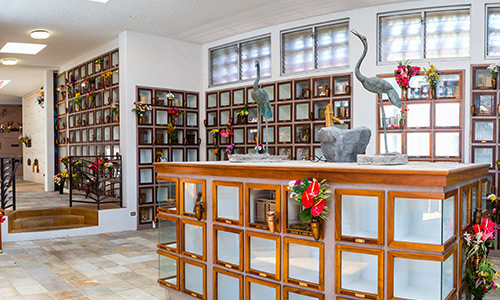 Whether you prefer the calm serenity of a natural park or the stately grandeur of a mausoleum, our experts are here to understand your needs and concerns, answer your questions, and provide you with all of your options and the information you need to make an informed decision about your loved one’s final resting place. 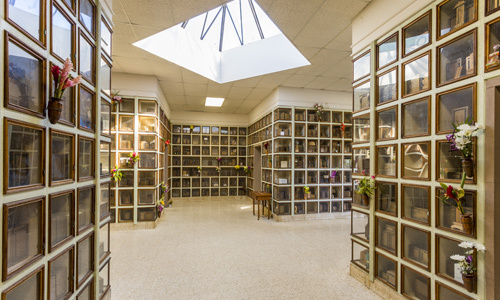 Mausoleum crypts for caskets and columbarium niches for cremated remains are offered as an alternative resting place above ground. 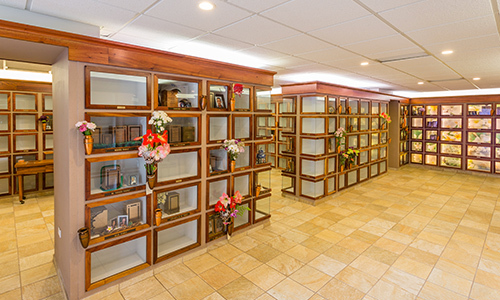 Our mausoleum and columbarium are built of reinforced steel and poured-in-place concrete. 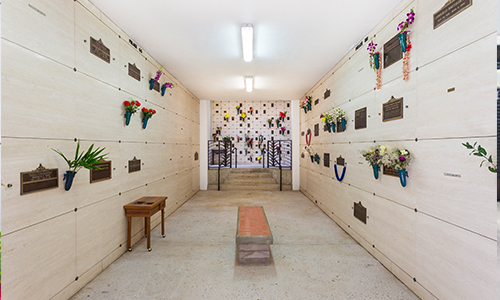 A family might choose to use their own private structure, or may opt to share space in a community mausoleum. 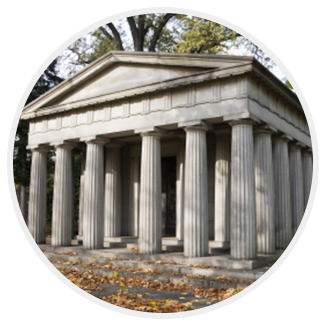 Though in the past a private family mausoleum was considered cost-prohibitive for many families, they’ve recently become a much more affordable option and a valuable investment for future peace of mind. 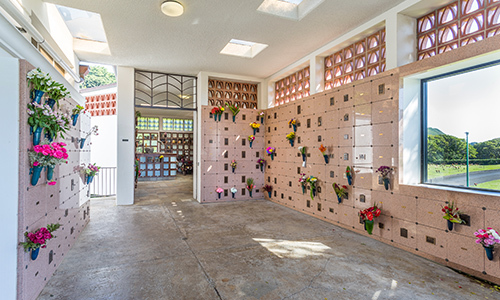 Rising upon the summit of a gentle slope, this striking mausoleum offers a panoramic view of downtown Honolulu and the Pacific Ocean. Beautiful Italian Travertine marble is used throughout the building. Hawaii's natural beauty comes serenely indoors in rays of warm sunlight through the numerous skylights and open patio overlooking the beautiful Nuuanu Valley. The crypts and niches in this building are enhanced by Italian Travertine marble and Salisbury Pink Carolina granite fronts. Benches allow for moments of reflection. 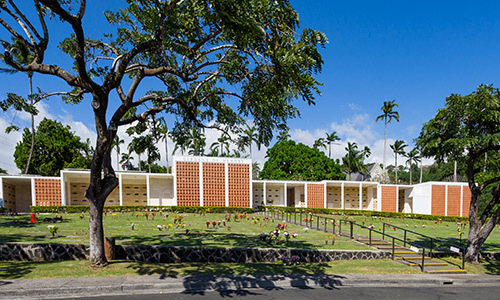 Built in 1951, these were the first glass front niches built on Oahu. In 2014, additional glass front niches were added in the lower level of the building. In one area, niches are enhanced with a beautiful local floral back-lit feature. 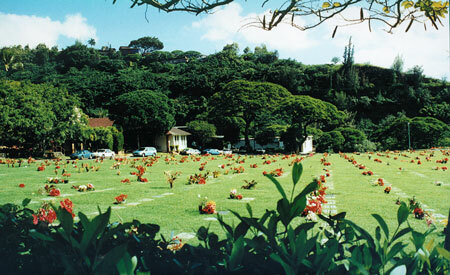 Completed in 1999, the two-story Garden of Orchids is Nuuanu Memorial Park's addition to its mausoleum complex. Selected glass front niches in the Cattleya and Vanda rooms are enhanced by beautiful orchid etching. A water feature, highlighted by two cranes, gives the room a tranquil and serene setting. The spacious Dendrobium courtyard features niches with Salisbury Pink Carolina granite fronts. Floral arranging areas are located on each floor. 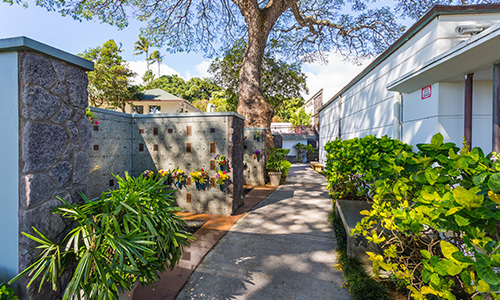 Completed in 2007, these garden niches are located under majestic Monkey Pod trees. Abyss Green granite fronts give the area a serene setting. 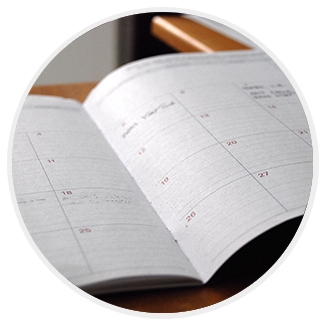 Purchasing pre-need cemetery property, opening and closing, and other cemetery services assist families at time of need. Prices are locked in at "today's" prices. Time payments are available. 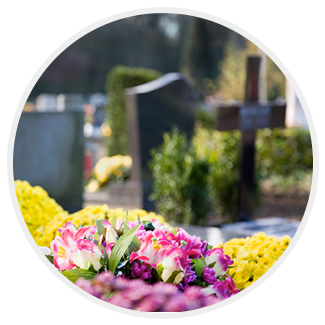 Allow us to assist you in pre-planning your cemetery needs.